It doesn't get cuter than this home in the country. Almost 6 acres of pipefence with multiple pens and pasture for large animals. 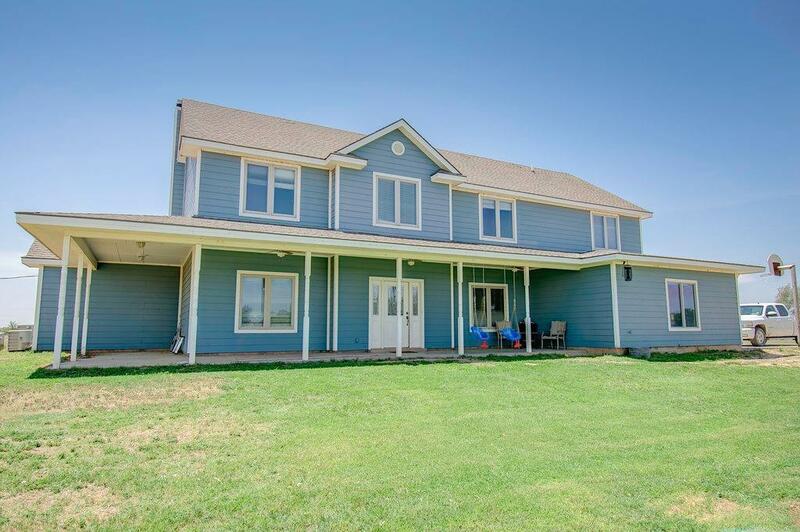 The home has 6 bedrooms, 3.5 bathrooms along with a large game room and craftroom that would make a great storage area. The kitchen is open to living room and features a large breakfast bar, granite, double ovens and stainless appliances. The isolated master is located downstairs and has exterior patio access along with a spacious bathroom featuring a jet tub, double vanities and stand-up shower. Upstairs, you will find 4 bedrooms, 2 bathrooms and a huge game/media room. Outside, there is a 40x60 shop with an attached 1/2 bath. This home has concrete siding, spray foam insulation and several other energy features. Don't miss the large above ground pool which has been buried below the surface. Such a rare opportunity...all of this for very little. Call us for a private tour.